Just a few moments that we’ve captured of John Reyes live in action. 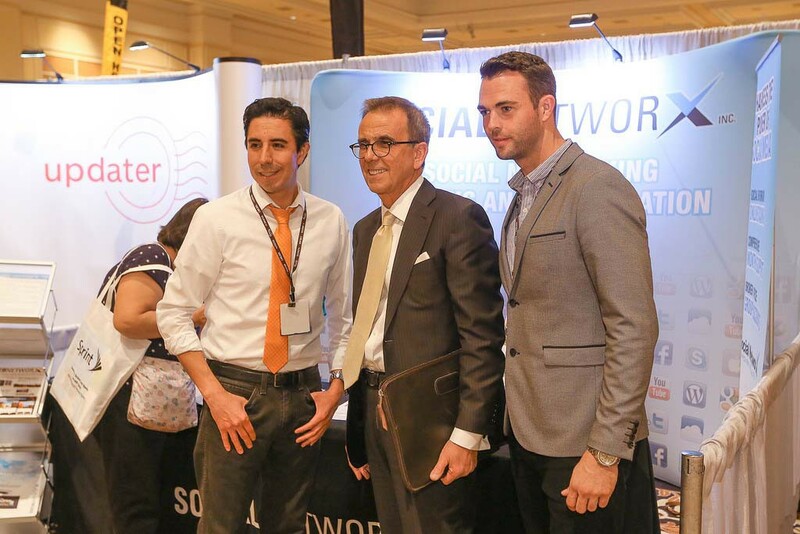 Alex Perriello, President and CEO of REALOGY Franchise Group, snapped a quick pic with John Reyes and Matt Ahlmann after John spoke on the grand stage at the 2014 Century 21 Global Conference. 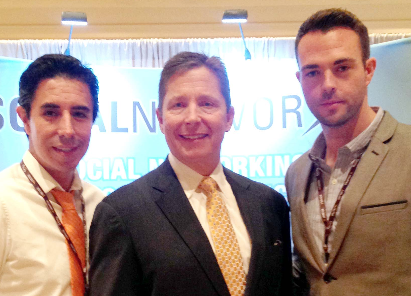 Rick Davidson took a moment to snap a quick picture with both John Reyes and Matt Ahlmann. 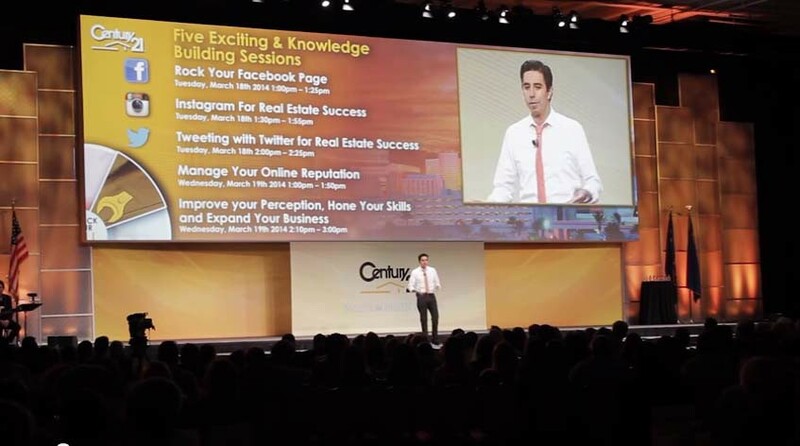 Social NetworX Inc. works closely with Century 21 and we have the unique opportunity to speak at most all their national events. John had the opportunity to share important real estate tech tips in front of an audience of nearly 3,000. John believes that video is the greatest marketing medium available in real estate today. One of our favorite shots of John as he shares a joyous moment with his industry friends, Jacob Swodeck and Bob Irish. 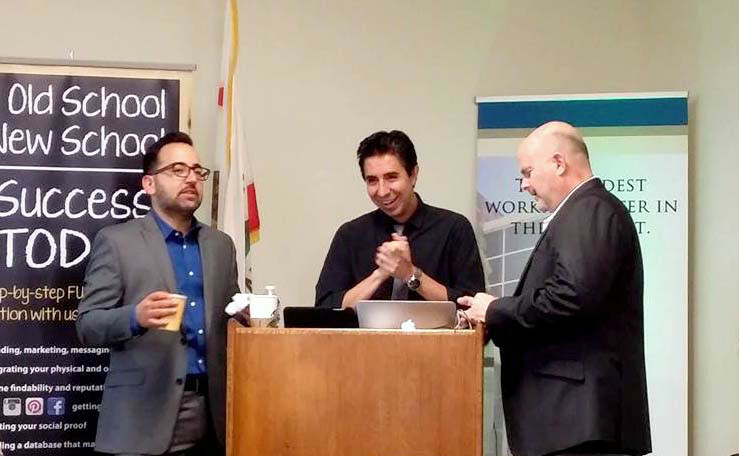 The guys were preparing to take the stage at the Citrus Valley Association of REALTORS in Glendora, California. 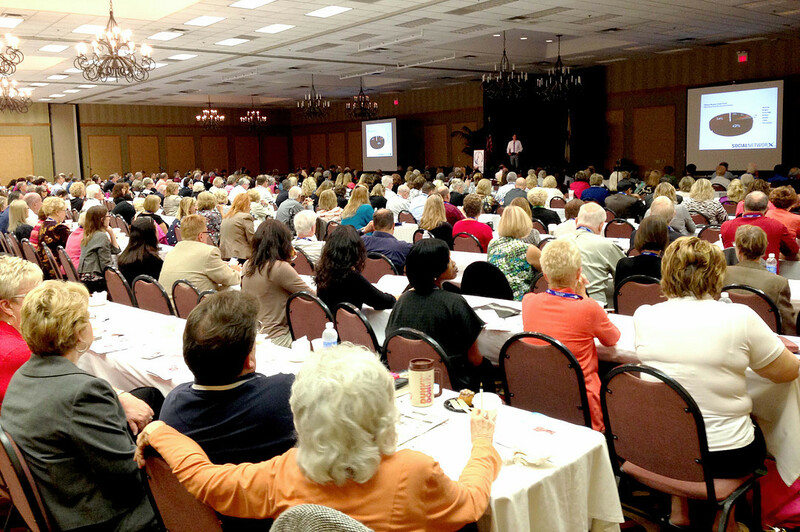 John spoke in front of an audience of more than 500 at the Illinois Association of REALTORS Fall Conference. John was the keynote speaker and he discussed the importance of integrating technology into real estate so that agents can offer even greater service to consumers. 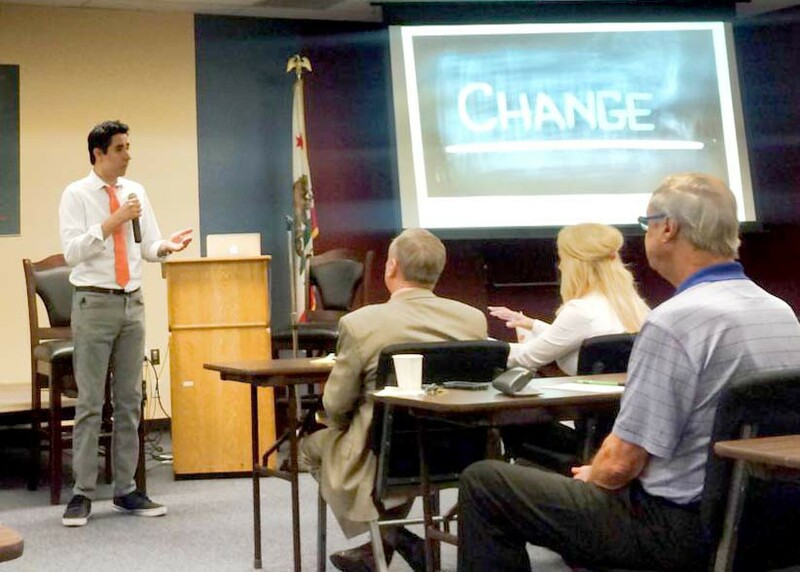 John Reyes served as the keynote speaker for a recent WCR San Diego Chapter quarterly event. The emphasis on this particular session had to do with controlling what’s displayed when your name is Googled. It was a fun and informative session and the audience was definitely left wanting more. 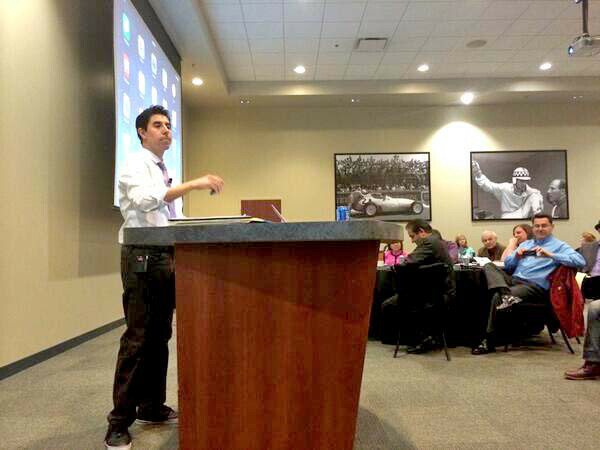 John Reyes was selected to serve as the keynote speaker for the Northern Illinois, RE/MAX Tech Day. 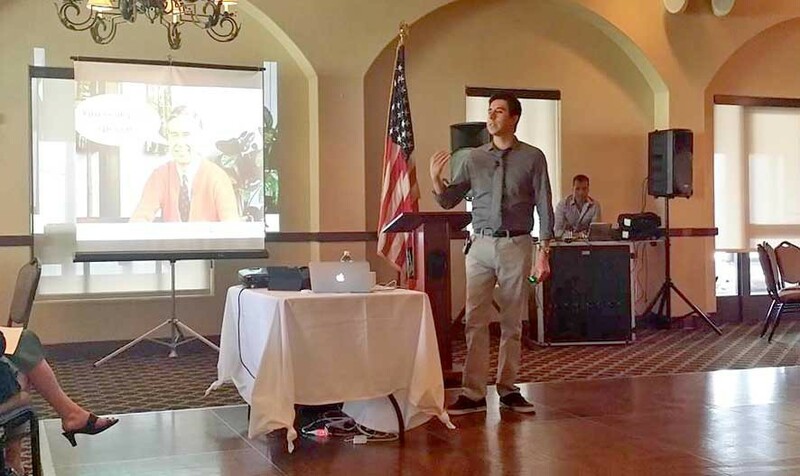 John held a total of 4 sessions including: Real Estate Tech State of the Union; Video Marketing; Paperless Management; and Website Solutions. John Reyes joins Bob Irish from Lake Hills Realty, and Jacob Swodeck from Keller Williams, as they discuss the new and old way of real estate marketing. The primary point that John likes to drive home is that in order to be successful in real estate, it takes the integration of technology and still requires face-to-face interactions. AREAA San Diego held a fantastic training for a large group of agents. John spoke about video marketing and he also provided a step-by-step game plan that all agents can implement into their business model. John Reyes talks about the importance accepting change. Sometimes as professionals we limit our ability to progress and grow since we fight against change even if it benefits us. One great example of not embracing change is Blockbuster. Did you know that at one time they had an opportunity to purchase Netflix for $50,000,000 cash. Today Netflix is valued at nearly $30 billion and Blockbuster is virtually bankrupt.